Think Pundole’s and instantly an iconic association springs to mind — the one the gallery had with the legendary maestro M.F. Husain. And today, 50-plus years after Kali Pundole launched his eponymous venture in Fort in the heart of South Mumbai, the Pundole Art Gallery has grown — its repertoire of talents increasing over the years and its scope of activities embracing change and extending to auctions as well. Currently, the gallery is located in Ballard Estate and the old-worldly buildings provide the perfect backdrop for a space that nurtures creative minds and beautiful objects. We walk into the expansive interiors on the appointed morning to find a few pieces from Rooshad Shroff’s show 15,556 that is due to open here the following week. On two walls we spot three paintings — a Ram Kumar, a V.S. 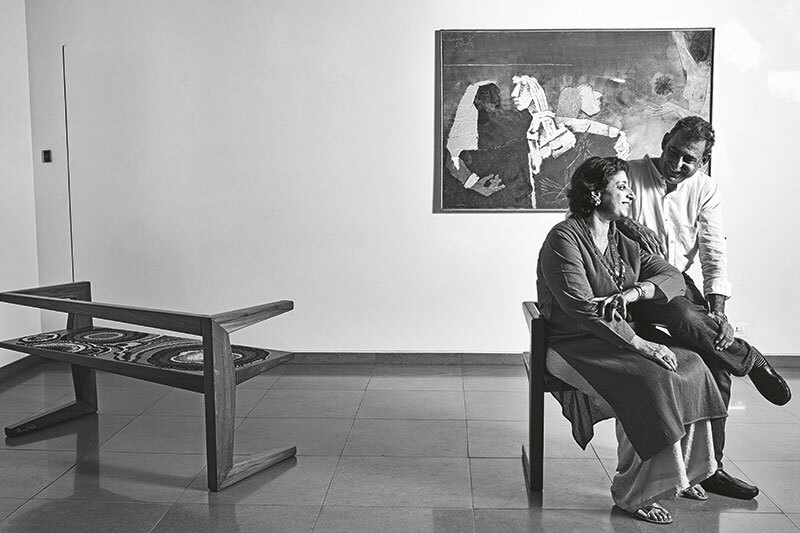 Gaitonde and an M.F. Husain. Khorshed and Dadiba Pundole bid us be comfortable, and our interaction covers several years and memories. It was Dadiba who was born into the family with an ‘arts’ spoon in his mouth. Taking him back to his childhood, I wonder if conversations at home largely revolved around colours, canvases and artists. Dadiba emphasises, “It wasn’t something that I thought I would join. My father had the business and when I started college — we had lectures in the morning — I was looking for a job. He offered me one. I took it up, not knowing what I would do post getting my degree. But, once having joined, I was sucked into it. My father never carried work home. My mother was a teacher and she had no interest in it.” The scene today in the Pundole household is different, for Khorshed and Dadiba do chat about their work at home, even though they avoid taking calls after office hours. From being a gallery space where artists were shown and artworks sold, the Pundoles have moved seamlessly into the domain of auctions. Dadiba points out, “This just happened. 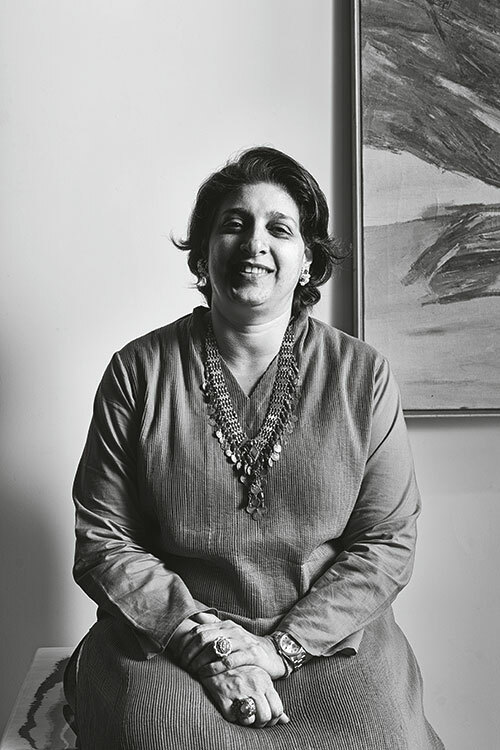 I had earlier worked with Sotheby’s as a consultant of modern and contemporary Indian art. I quit in December 2010 and decided to move on before I was beyond my sell by date and was asked to leave. NCPA’s Khushroo Suntook called me in the last week of January and said they needed to raise money – but it had to be done in a transparent manner. I said that the only way to do that is a public auction. I tried to connect them with Sotheby’s but the dates did not tally and they needed the money as soon as possible. They asked me to conduct it and that is how we did our first one in April 2011 for the National Centre of Performing Arts.” This auction saw works by S.H. Raza, F.N. Souza and V.S. 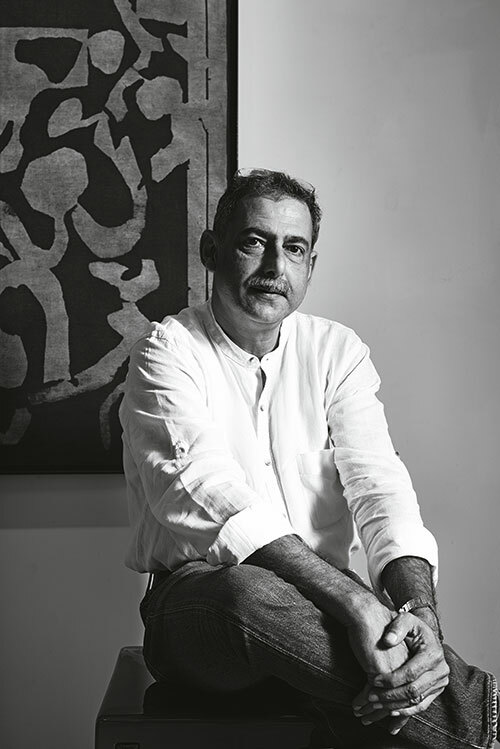 Gaitonde from Dr Jamshed Bhabha’s collection come under the hammer.